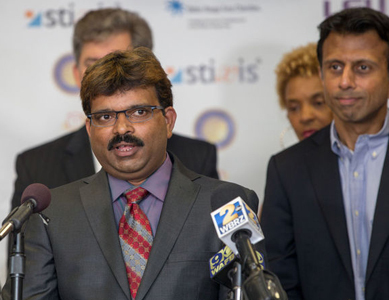 India based retail technology consulting company Stixis Technology Inc. is planning to build its first US software centre in Baton Rouge. The announcement was made officially that Stixis Technology will host its first US site, the Stixis AMIGO. AMIGO development centre is keenly expecting the support of professionals such as engineers, scientists, professors and research students. Stixis Technology Inc. are coming forward with a new formula by accelerating the solution development and streamline development product which will boost the business models that help enterprises run smoothly and competitive. The company is planning to create 230 jobs within an estimated time period of 5 years at Louisiana Technology Park. At the Louisiana Technology Park, Stixis will lease existing incubator tenant space, with the option of leasing and building-out larger, customized technology space at the park as company operations grow. Stixis Technology Inc. takes a spot in the list of top developing technology companies which started operation in Louisiana. The list also includes top seed companies such as IBM, EA, Gameloft, GE Capital and CGI. According to Rayudu Dhananjaya, CEO of Stixis Technology, “The Stixis AMIGOs Development Centre will focus on innovation, which we think will be well-supported by highly skilled manpower available locally – scientists, engineers, university professors and research students”. According to Governor, Bobby Jindal, “From 2008, we’ve made economic development one of our top priorities and worked to make Louisiana a place where businesses want to invest. That work has paid off – Louisiana has become the nation’s new frontier for business opportunity and nowhere is that more evident than in the technology sector. With the nation’s top state business climate and a top-notch tech workforce, Louisiana offers the very best value for expanding and relocating technology firms”. Stixis Technology is an India-based retail technology consulting company founded in 2009 and based in Bangalore. It runs software solutions along with application management. It also provides support and maintenance for a wide range of sectors such as oil and gas, health care, retail and government, education, entertainment and digital media, and so on. Stephen Loy, Executive Director of Louisiana Technology Park, “For more than 13 years of experience, the Tech Park has been the hub for innovation in Baton Rouge, providing local, regional and national high-tech entrepreneurs the synergy and services they need to launch their products faster and more effectively. Why passwords are not able to keep you safe in Cyber Space?